The 2015 outbreak of highly pathogenic avian influenza (HPAI) virus devastated the United States poultry industry. A novel Eurasian-North American H5N2 was detected in 221 commercial cases of HPAI primarily in the Midwest US. The outbreak resulted in the death of approximately 50 million poultry as of June 17, 2015. 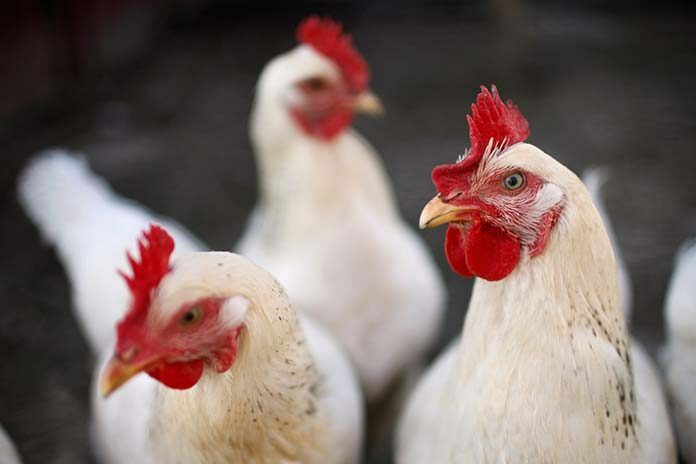 The scope of this outbreak demonstrated that biosecurity practices for poultry facilities had gaps that need to be strengthened to reduce the risk of future infections. 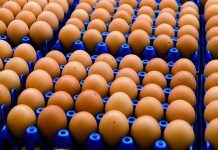 To assist poultry producers in implementing stronger biosecurity plans, the U.S. Department of Agriculture (USDA)’s Animal and Plant Health Inspection Service (APHIS) via the National Poultry Improvement Plan (NPIP) worked with state, academic, and industry experts to develop an additional section of the NPIP Program Standards. This consists of the 14-point biosecurity principles2 that were adopted as an addition to the NPIP Program Standards at the 2016 NPIP Biennial Conference. Indemnity for poultry producers will be dependent upon compliance with these biosecurity principles as well as passing audits performed by the Official State Agency (OSA) in each state. As the Authors were preparing this paper regarding vigilance and biosecurity towards HPAI, the word “one brick higher” came to their mind, a word familiar to those from Purdue University. The story is a symbol of resilience in the face of adversity when a boiler inside a newly erected Heavilon Hall exploded just four days after the building was completed and dedicated in January of 1894. Purdue president James Smart stood before the Purdue faculty and students the day after the fire and proclaimed, “…[w]e are looking this morning to the future, not the past…that tower shall go up one brick higher.” A year later, the tower had been rebuilt higher than the original (9 bricks higher to be exact), and served as a campus landmark for 60 years3. That is exactly what happened with the poultry industry as we faced the worst animal health incident in US history. We came out better as an industry after the numerous “lessons learned”. 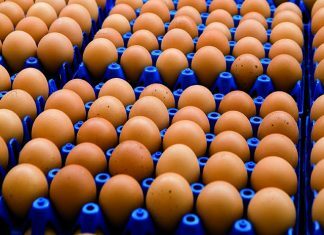 During and soon after the 2015 outbreak, US Poultry and Egg along with USDA developed a biosecurity self-assessment checklist tool, which was well utilized by the industry. The self-assessment tool was used to help producers develop/improve site- specific biosecurity plans. Biosecurity approaches fall into two categories. Structural biosecurity is built into the physical planning, construction, and maintenance of a facility. Operational (or cultural) biosecurity includes standard operating procedures (SOPs) and compliance with SOPs that minimize the risk of virus entering the poultry flock house. Over the long term, poultry producers will need to consider both operational and structural biosecurity to reduce their overall risk of HPAI and other infectious agents4. 4) no, not in place. Some questions asked for descriptive answers and allowed for an in-depth comment. Responses were polled in a 2-week period. A total of 172 responses were received from 34 states, with the Midwestern states representing 87% of the responses. Responses were predominantly from commercial layer (45.6%), turkey (39.4%), pullet (21.9%), and broiler (10%) operations. 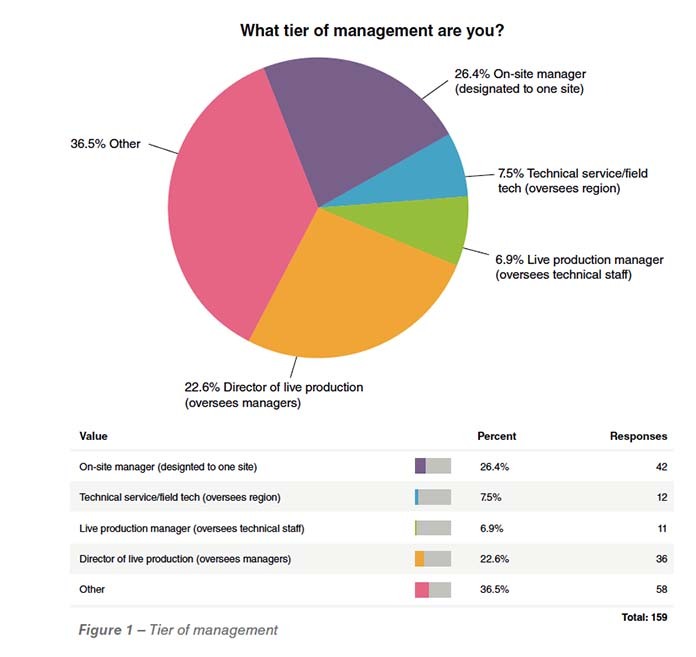 The majority of responses (see Figure 1) were from on-site managers (26.4%), followed by directors of live production (22.6%), owners/president of the operation (15.7%), technical service/field techs (7.5%), veterinarians (7%) and live production managers (6.9%). Biosecurity officers are in place for 88% of the respondents, with a significant improvement from 28.5% prior to the outbreak. Something to note is that the biosecurity officer is usually an added responsibility beyond the current job title (85.8%) versus a newly assigned role (9.0%) or a personnel investment/new hire (5.2%). The biosecurity officers almost all (98.6%) review the program at least once each year. Plan revisions happen at varying annual frequencies: once (38.6%), twice (22.8%), three times (3.8%), or four or more times (32.3%). Employee compliance with biosecurity training is monitored predominantly by records: training logs (54.2%), training completion sheets (47.1%), and sign-in sheets (52.9%). More direct methods are used less frequently such as security cameras, glow-powder checks, and visual monitoring. The biosecurity plans address procedures and PPE for all levels of people at the site (on-site managers, non-farm personnel, visitors) at over 80% of respondent locations. Downtimes are monitored for entering the perimeter buffer area via self reporting through visitor logs (90.3%), signed policy documents (37.3%), signed statements (26.9%), and acknowledgement forms (29.9%). Control measures for wild birds, rodents, and insects are in place at 82% of respondent locations with 100% indicating they had a rodent control plan. Equipment is shared in approximately 1/3 of the premises that responded, and SOPs for cleaning and disinfection of shared equipment are now available in 96.1% of respondent locations, an improvement from 70.6% prior to the outbreak. According to the site biosecurity plan, mortality is collected daily (93.6%) and disposed on site (64.7%). Site plans usually address protocols for depopulation or unexpected high mortality events (57.1%). Manure and spent litter is handled on site by internal staff in 63.7% of respondent locations. Deep water wells are the source of water for drinking and evaporative cooling in 85.3% of the respondent locations. The biosecurity plan is being audited in 67.3% of the respondent locations, an improvement from 28.8% prior to the outbreak. Major and minor structural investments were discussed. Physical changes included: gated entryways (58.7%), foot baths (90.2%), hand sanitizer stations (73.9%), line of separation (47.7%), shower-in facilities (42.1%) and Danish entries (55.6%). There is strong evidence that structural and operational biosecurity has been improved broadly across the industry. The majority appear to be prepared for the scheduled NPIP biosecurity audits. 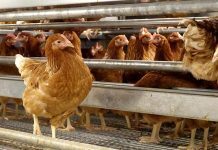 This survey was designed to understand the status of biosecurity in the poultry industry. Full results from the survey will be available on the Iowa State University Center for Food Security and Public Health website. Further improvements on this survey could be tailor-made to fit company needs, as well as offer as a compliance-monitoring tool though a third-party (Iowa State University) to analyze results, should there be a need. As other potential HPAI outbreak could occur, biosecurity will continue to be a major focus for the poultry industry. Acknowledgement: The Author would like to thank Dr. Mick Fulton for the opportunity to speak at the Midwest Poultry Federation Convention, as well as Association of Veterinarians in Egg Production, Association of Veterinarians in Turkey Production, Indiana State Poultry Association, Iowa Poultry Association, Iowa Turkey Federation, Egg Industry Center, Minnesota Turkey Growers Association, Dr. Rob Porter, Dr. Elizabeth Beilke, Dr. Eric Gingerich, survey participants, and many, many others for the participation, support, and distribution of the survey. Animal and Plant Health Inspection Service – Veterinary Service. 2016 HPAI Preparedness and Response Plan. Jan 11,2016.
https://www.aphis.usda.gov/animal health/downloads/animal diseases/ai/hpai- preparedness-and-response-plan-2015.pdf. (last accessed: February 27, 2017). USDA-APHIS, VS. National Poultry Improvement Plan Program Standards, Standard E: Biosecurity Principles. January 2017.
http://www.poultrvimprovement.org/documents/ProgramStandardsJanuarv2017.pdf. (last accessed: March 7, 2017). Kunz, Amanda H. Did you know? : Heavilon Hall. February 12, 2015. http://www.purdue.edu/newsroom/purduetoday/didyouknow/2015/Q1/did-you-know- heavilon-hall.html. (last accessed: March 1,2017).